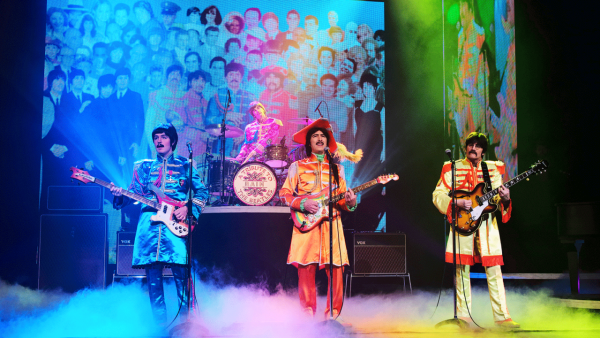 RAIN: A Tribute to the Beatles will take the Hulu Theater at Madison Square Garden stage as they celebrate the 50th anniversary of the release of “The Sgt. Pepper’s Lonely Hearts Club Band” album. This limited engagement begins Thursday, May 3 and runs through Sunday, May 6, 2018 for six performances only! Tickets are available now. RAIN has mastered every song, gesture and nuance of the legendary foursome, The Beatles, delivering a totally live, note-for-note performance that’s as infectious as it is transporting. RAIN takes you back with songs from “Sgt. Pepper’s Lonely Hearts Club Band” along with other Beatles hits such as “I Want to Hold Your Hand,” “Hard Day’s Night,” “Let It Be,” “Come Together,” “Hey Jude” and more. RAIN will perform songs from the full range of The Beatles' discography live onstage, which includes “Sgt. Pepper’s Lonely Hearts Club Band” album in its entirety. Building on the success of RAIN’s previous tour, the 2018 tour will feature brand new LED, high-definition screens and multimedia content to make for an even more memorable experience.